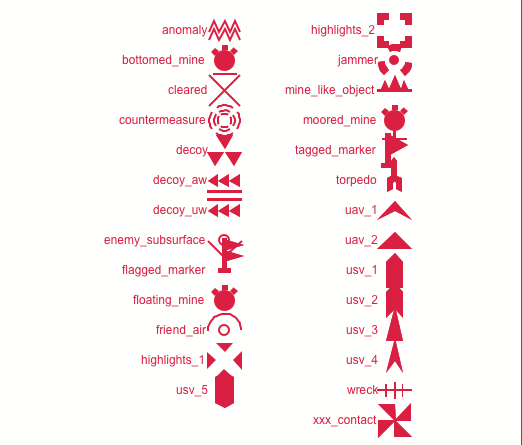 A set of symbols is provided within Debrief. The symbols can either be attached to a text label, or used to highlight a current vessel location when stepping through tracks. Twenty-two Symbols are provided in 3 sizes. 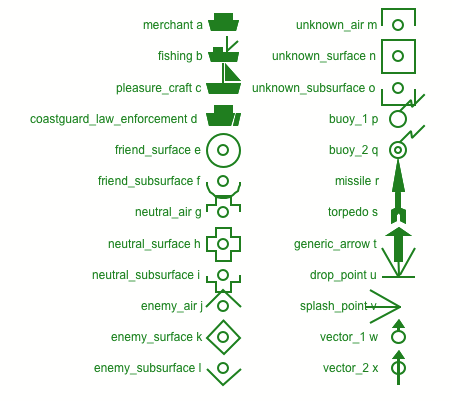 When the 2 smaller sizes are shown, any internal characters (as used in the sonar buoys) are not plotted. 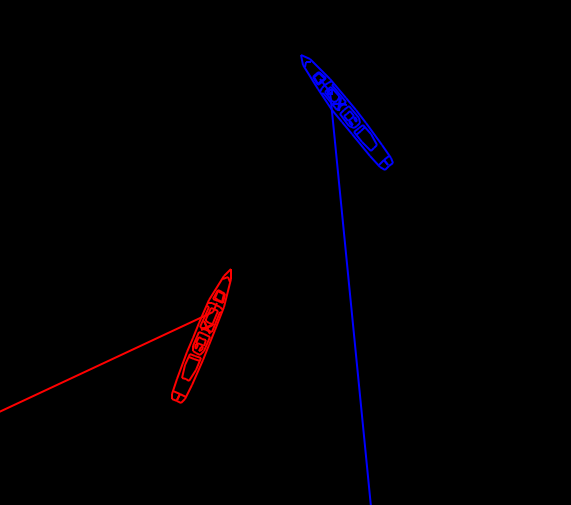 The scaled symbols are not shown at fixed screen sizes, but as representative sizes of the subject vessel - so they resize as you zoom in on a plot. It is also possible to specify the length and width of the subject platform for a realistically sized vehicle representation. Any label placed on the plot has a symbol type property (although the symbol itself may not be visible). The symbol can be changed through the properties window, or by right-clicking on the label on the plot. The final area where symbols are used is when stepping through tracks. Each vessel track has a symbol type property which is shown when the plot has SymbolHighlighter selected as the current highlighter. By switching to Snail mode and reducing the reducing the Trail Length to zero, a GOP-type plot can be shown.